Often times when people hear the term “root canal,” they wince. While needing a root canal isn’t ideal, it often is not as bad as most people think. In certain circumstances, performing a root canal may be the only way to save your tooth from being surgically extracted. In order to get past any hesitations you may have about getting root canal therapy, it is important to first understand what it is, what it treats and what the process is like. Essentially, root canals are a procedure that treat situations that involve fixing cavities or cracks in teeth that are so bad that they affect the pulp or nerve of a tooth. The pulp is a collection of blood vessels and soft tissue that can get infected when a tooth is cracked or populated from the bacteria of a cavity. Once the tissue gets infected, you may develop an abscess. If this infection isn’t treated, over time it can lead to pain, injury to your jawbones and even issues with your overall health! WHAT ARE THE REASONS FOR A ROOT CANAL? These all lead to diseased tooth soft tissue, and need to be taken care of immediately to avoid the development or progression of an infection. Having Pain or Tooth Aches? 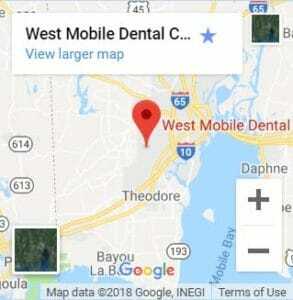 Call us at (251) 666-3600 Today to Schedule Your Appointment. 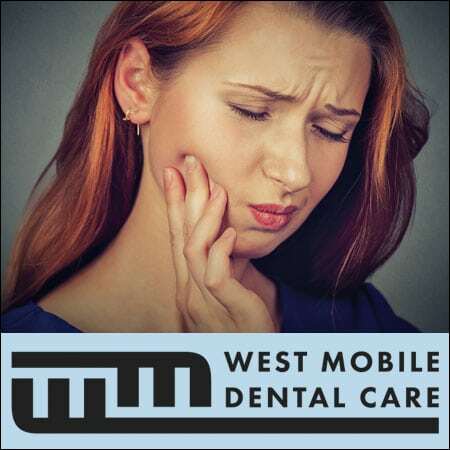 Generally speaking the indications that you need root canal therapy will be incredibly obvious, as you may have a spontaneous toothache or swelling; however, sometimes a patient is unaware that they have an underlying infection and do not realize they need a root canal until x-rays and clinical examination by a dentist. Pain while trying to chew. Pain with exposure to heat or cold. A change in the color of the tooth (often gray). Pain while pressure is applied to the tooth. If any of these issues occur, you should see your dentist for a consultation. One of the biggest fears that patients have about root canals is that they may be extremely painful. Actually, many people will actively ignore the issues they are having simply to avoid having a root canal completed. Ironically, this generally leads to more pain, not less. The actual pain that you are feeling is the infection and inflammation from the diseased soft tissue area of the tooth's root. These symptoms will continue to persist until the tooth is treated. With adequate local anesthesia, root canal therapy can be performed with minimal, if any, discomfort. Also keep in mind that—without proper treatment—your root canal can lead to other health problems and potential damage to your tooth, bone, and possibly adjacent teeth. The process of getting a root canal involves multiple steps. It all starts with visiting your dentist for a consultation to determine what is the source of your pain. Once they decide that root canal therapy is necessary, they will begin a process that may take one to three treatments. Before your treatment begins, your dentist will provide local anesthesia to make sure that you don’t feel any pain. They may also suggest to use nitrous oxide. Initially, your dentist will remove any injured or affected soft tissue inside of the root, then clean the inside of the tooth. Once that is complete, they will fill in the canal space within the root with a biocompatible material and seal it to ensure that there is no further infection. More advanced patients with endodontics needs will be referred to a local endontist, or dentist that specializes specifically in the treatment of the dental pulp. Once the procedure is complete, you may have the option of placing a crown over the tooth to ensure its long term protection. WHAT IS THE ROOT CANAL RECOVERY PROCESS? Generally there isn’t any particular recovery procedure for a root canal—it should heal up fine on its own. Still, if you notice any pain or pressure that lasts for more than a couple of days, you’ll want to contact your dentist to make sure the area isn’t infected. HOW CAN I AVOID GETTING A ROOT CANAL? In order to avoid a root canal, it’s important to practice good oral hygiene. This includes brushing your teeth, flossing, using mouthwash and visiting your dentist regularly for cleanings. Good oral care also involves making an appointment with the dentist if you suspect anything is wrong with your oral health. If you notice pain, pressure, discoloration or decay of any kind, make sure you set an appointment with your dentist. The sooner you address the underlying issue (whether it’s diseased tissue or not) the easier it will be to repair. Keep your smile vibrant and your mouth pain-free by treating any tissue infections with root canal therapy.